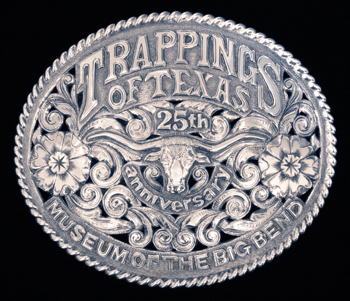 Trappings of Texas was proud to host another outstanding group of artists and gearmakers for its 25th Anniversary Celebration. Featured here are just a few of the more than 70 artists and gearmakers whose works were featured at the 2011 Trappings of Texas. View the works of featured artists for 2011. View the works of featured gearmakers for 2011.